Ecuador is a Spanish-speaking country bordered by the Pacific Ocean, Colombia and Peru. It is known as the Galapagos Islands, which is home to several endemic species. People moving to Ecuador will find that the cost of living in the country is quite cheap, ranking 274th out of 282 countries when it comes to cost of living for foreign nationals. Ecuador is a Spanish speaking country of some 15 million people, situated on the Pacific Ocean in South America. It gets its name from the Equator of the Earth which runs right through the country. Ecuador was ruled by the Inca Empire when the Spanish arrived and conquered it around 1530. The Ecuadorians revolted from Spain in 1822 and joined Simon Bolivar's "Republic of Great Columbia", but split off into their republic in the year 1830. Ecuador fought a short border war with neighbouring Peru in the year 1941, and again as recently as 1995. There are many different types of animals that are native to Ecuador and especially the Galapagos islands, such as the famed Galapagos turtle. Ecuador exports agricultural products such as Coffee, Cacao, Bananas and Sugar. Most of the people of Ecuador are of mixed native Indian and Spanish descent, or "Mestizo", and nearly all are of the Roman Catholic faith. 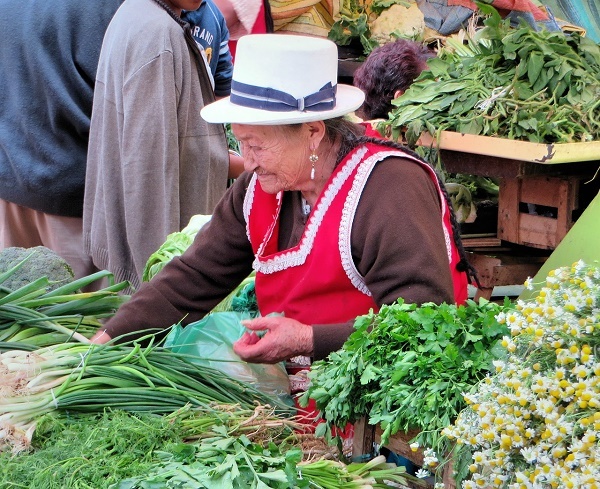 Favorite ingredients used in Ecuadorian cooking include shrimp, meat, rice, beans, potatoes, plantain, peanut, and yucca. The most popular sport among Ecuadorians is soccer football. Ecuadorian musicians play South American genres like pasillo, cumbia and salsa. Woven Panama hats, despite their name, are made and worn in Ecuador, where they are called Jipijapas. They received the name of 'Panama hat' because they were shipped to Panama for export to North America. There are several expatriates living in Ecuador, notably those from the US, who number 100 thousand, and from Europe, who account for another 30 thousand. Ecuador has been using the United States dollar as a fiat currency since the year 2000 when it did away with the former national currency, which had been called the Sucre. Many Ecuadorians also know some Quechua. The Quechua Indians paint the Cotopaxi volcano on drums and sheepskins for sale to tourists Most Quechua and native women in Ecuador wear the bowler hat, a style introduced to them by English railway workers in the 1920s. Quechuas in Ecuador also wears the knitted hat with ear flaps, known as a chullo. There is also a large population of over a million of African descent living in Ecuador. These Afro-Ecuadorians are mostly descended from the escapees of shipwrecked slave ships in the 1500s. The Afro-Ecuadorian communities have their unique styles of music, like Marimba and Bomba. Ecuador has been a democracy since the year 1979. It was under the military government for several years before that. A new constitution was adopted by Ecuador in the year 2008. It is the 20th time Ecuador has adopted a new Constitution in its history. Ecuador is a country which extends across the equator on the west coast of South America. It is a budget friendly country for expats who are planning to relocate abroad either alone or with their family. Here, you will find yourself living close to the vast Amazon Jungle and Galapagos Island where different species of wildlife can be seen. So if you are already decided to move to Ecuador and experience its fascinating culture and incredible ethnic diversity, here are some helpful guides to get you started. You can browse through online portals for real estate properties in Ecuador. Another way is to go around the city once you arrived and look for signs outside buildings and houses. There are also local realtors whom you can call to help you find the best choices in towns and cities. Always be clear when it comes to your budget and needs so they can narrow down your options and make the search easier. Make sure to ask right away if the utilities are already part of your monthly rent. If not, the average cost of essential services like water, electricity and gas in the city is around €30 per month. Your internet connection with a speed of 10mbps is around €35 monthly and a minute of local prepaid mobile call is €0.15. There are two types of rental agreement that you can choose from short term and long term. If you are only going to stay for a short period or don’t want to commit to the hassle and expenses of paying the mortgage, you can find many rental options in Ecuador. 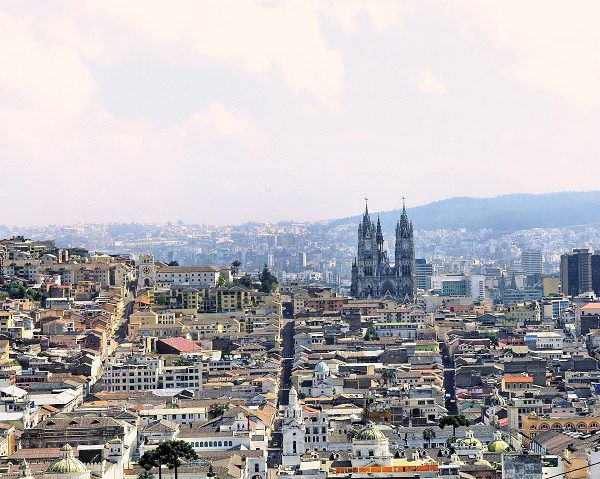 The most popular residential area for expats is in Quito, the country’s capital. It has all kinds of services that will meet your everyday needs and is located near corporate offices. A one bedroom apartment in Quito is around €400 while a three bedroom apartment is roughly €700 per month. Another city where you can find most expats living is in Guayaquil, the largest town in Ecuador. It is situated on the west edge of Guayas River and is the commercial heart of the country. Several high-rise buildings are ready for occupancy in Guayaquil. An apartment with one bedroom is around €300 per month and €500 for a three bedroom unit. In most parts of Ecuador, education is taught in Spanish. You should also know that schools are free only up until the age 14 where education is compulsory. The best option for you is to enrol your child in a private international school like The British School and The American School of Quito where the curriculum is more expat friendly. There also many prominent local schools that provides quality education like the State Polytechnic University of Carchi (UPEC) and the Colegio San Gabriel, Quito . Many shipping and removal companies can help you in bringing your belongings to Ecuador. The average shipping time to Ecuador is usually 3-4 weeks which might still vary depending on your country of origin. Containers will arrive in Puerto Maritimo, the country’s largest port and once the cargos are unloaded and cleared by customs, it will take another 1-2 weeks for your packages to be delivered to your new home. If you are entering from an EU country and is planning to bring a cat, dog or ferret, make sure that their Pet Passport is updated. Another document that you need to secure (coming from EU or non-EU state) is an International Health Certificate issued by a licensed veterinarian ten days prior its departure. Ecuador is a place where you can live on a budget without missing out on many exciting leisure activities. You will be surprised that this beautiful Spanish country has a balance of both which is a bit rare to find. So for now, relax and get ready to experience the Costeño way of life! 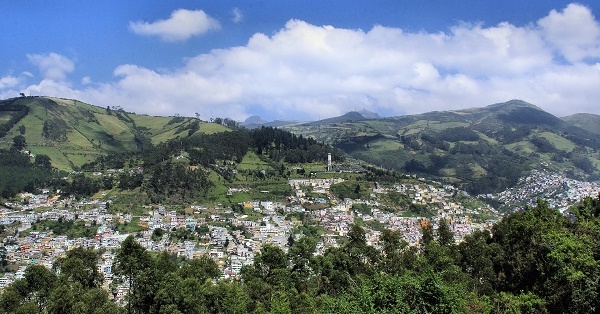 Colonised by Spain in the 16th century, Ecuador is a country located in North-western South America. Its numerous beaches, tropical climate, low crime rate, growing economy and excellent health care system make Ecuador an attractive destination for expats. Ecuador has a total population of 16.5 million whereas about 72% are comprised of Mestizos, and another 7% are of Amerindian descent. Aside from being a popular retirement destination for foreign nationals, this country also attracts hardworking individuals who want to seek employment in the education, service and agriculture industries. This country known as the ‘Banana Republic’ also boasts a low cost of living and a dynamic economy that’s why its residents enjoy comfortable yet inexpensive lives. Sports have a significant place in the hearts of the Ecuadorians, and like most South American countries, the national sport here is football. Though several professional teams can be watched, there are also lots of amateur leagues where expats can join. Other popular games in this country are volleyball, basketball and tennis. Hiking, waking, and climbing are also popular outdoor activities among the locals since Ecuador boasts irresistibly beautiful terrains. This country also holds a yearly race event called the Guayaquil Marathon that takes place every first Sunday of October. Participants are mostly locals as well as visitors from other countries such as Colombia, Peru and Venezuela. When it comes to water sports, Ecuador is certainly no underdog because aside from the beautiful Galapagos Island, expats can also visit some of the most famous coastal resorts such as Ayampe and Montanita which are both excellent spots for surfing. Most highways in Ecuador have been improved during the recent years, but expats should still stay cautious when driving at night particularly on mountain roads. This country permits an individual to use his foreign driving permit but only for thirty days. After one month, expats must visit the Transportation Headquarters of the National Police to attend a course and to obtain an Ecuadorian driving license. Traffic in Ecuador moves on the right-hand side of the road while overtaking is on the left-side. Car insurance and wearing of seatbelts are mandatory in this country. Expats who love to go out for a drink should keep in mind that the maximum permitted alcohol level is 0.07%. In Ecuador, the maximum speed limit is 50 kilometres per hour in urban areas and those who are stubborn enough to hit 60 kilometres per hour will be taken to jail. Traffic is common in this country whereas typical rush hours are 8:00-9:30 AM, 12nn-1pm and 5 pm – 7 pm from Mondays to Fridays. Spanish is the official language in Ecuador and is spoken by 93% of its people. Other languages being used in this country are Quichua (from Inca dialect), Chinese, French and German. Those who are interested in finding employment in Ecuador are advised to learn how to speak Spanish because job opportunities for expats who do not possess adequate skills in Spanish tend to be limited. Respect is a trait deeply valued by the Ecuadorians newcomers should know how to greet properly. Buenos dias (good morning), Buenos tardes (good afternoon) and Beunas noches (good evening) are the most common greetings. Make sure to complement those with a firm handshake or a kiss on the cheeks. It is also considered polite to stay a bit close when someone is talking since it is a gesture of interest. Those who will live in the Sierra regions should remember that referring to the height of a person using a downward facing palm is considered impolite. When beckoning someone to come close, always motion the hand on a downward swipe with the palm facing down. Machismo is also heavily felt in the Ecuadorian culture whereas the men assume the role of the breadwinner while the women stay at home to look after the family.